Merle Yost offers a variety of services including private psychotherapy, workshops, consultation, trainings, lectures, and more. 15 min phone consultation to make contact and answer any questions you might have. This is for people that are wanting to discuss their situation and are looking for feedback about what treatment options they might explore or simply want to understand more about what is happening. This are of particular interest to men with gynecomastia, men who were sexually abused as children and their families and partners and bi and gay men that heterosexually married. My consultations are not limited to this but these are common concerns. Five days, two hours a day to work on a specific problem or block. This is a useful tool when someone needs to take a quick deep dive to break through and shift to a new perspective and way of being. Local and out of town appointments available. Short Term EMDR Therapy, dealing with a specific issue. Merle was trained by Francine Shapiro in 1993 and is both an Certified EMDR Therapist and an EMDRIA Approved Consultant. CWM is a group activity. Merle will read a selection from the book or give a talk on a topic, followed by a facilitated conversation. He will dialogue with the members of the group and do pieces of work individually or with part or all of the group as the situation requires. This is an opportunity to have extended direct contact and experience a healing environment. These groups typically last 90 minutes to two hours. Longer themed events can be planned. Merle is available for key note and small group speeches with limited dialogue with the group. 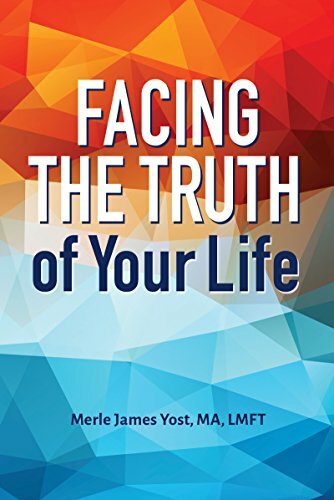 Facing the Truth of Your Life book events are available individually or preferably in conjunction with other events.